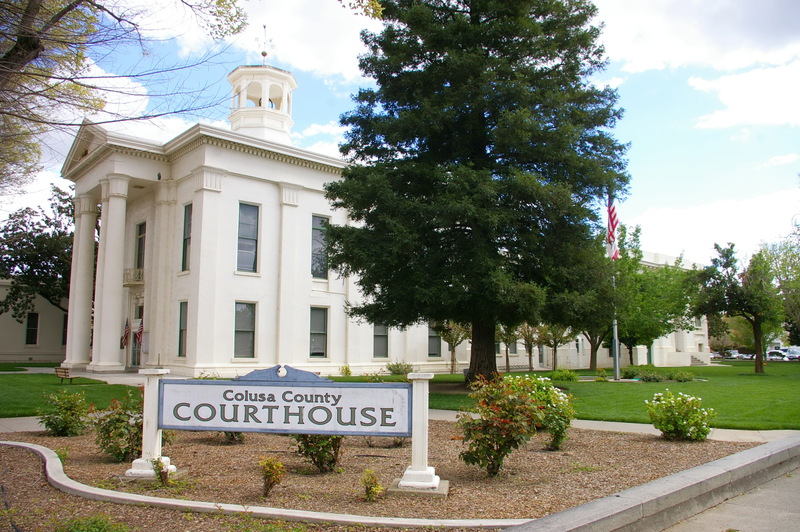 Colusa County is named for the Mexican land grants of Coluses in 1844 and Colus in 1845. 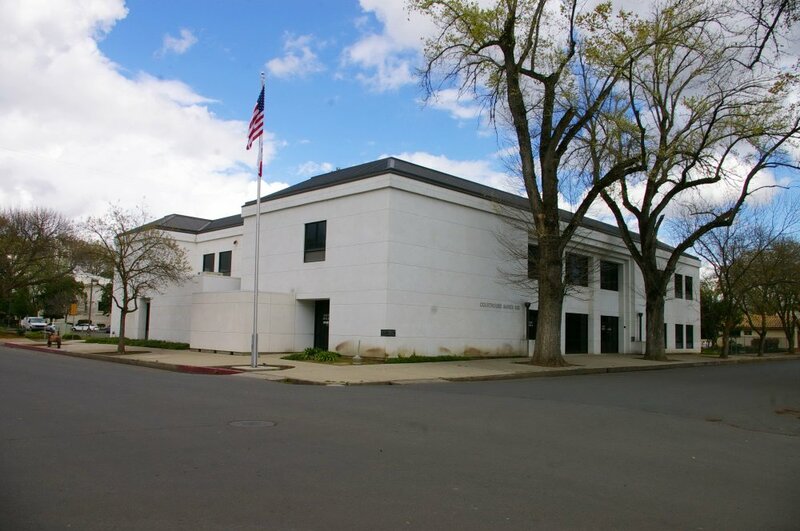 Description: The building faces north and is a two story structure. 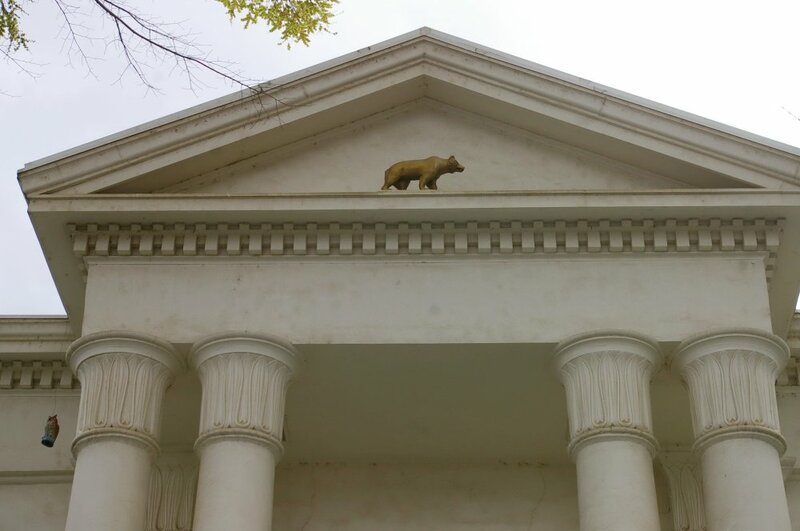 The north front has a high portico with four columns rising to a pediment. 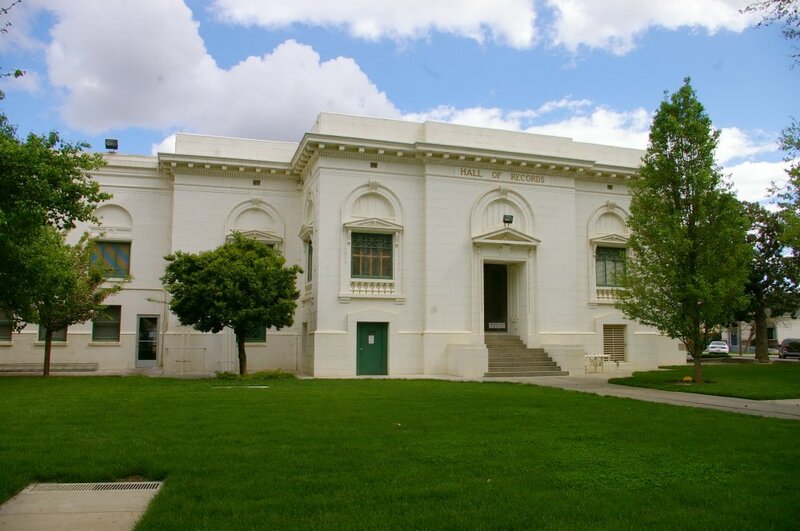 Along the sides of the building are vertical pilasters between the windows. 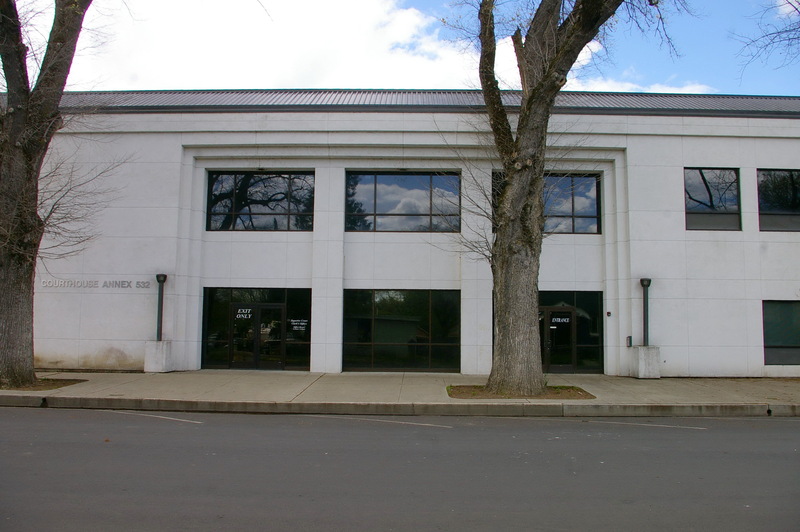 A wide eave follows the roof line. 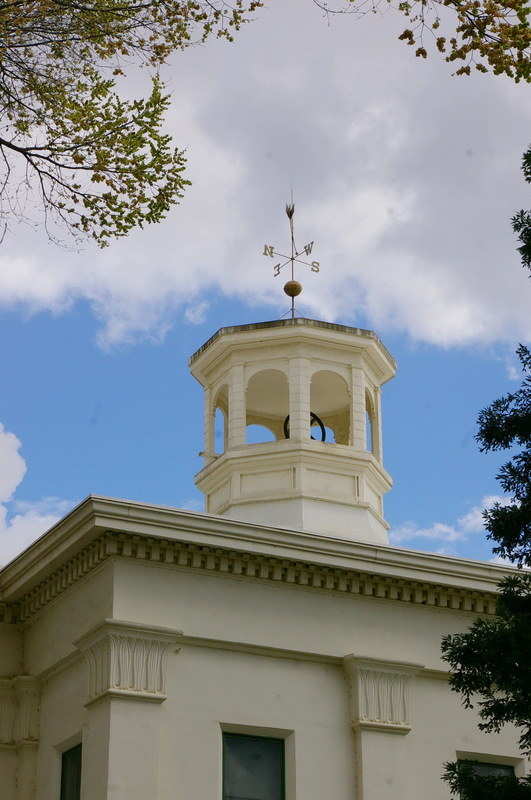 On the center of the roof is an octagonal open cupola with bell. The building was enlarged in 1886 extending the structure south to connect with the Hall of Records. 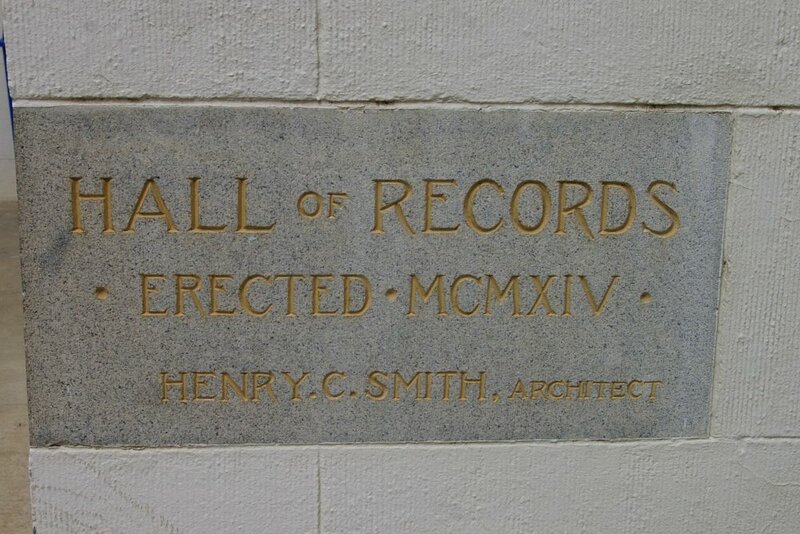 The Hall of Records was constructed in 1914. 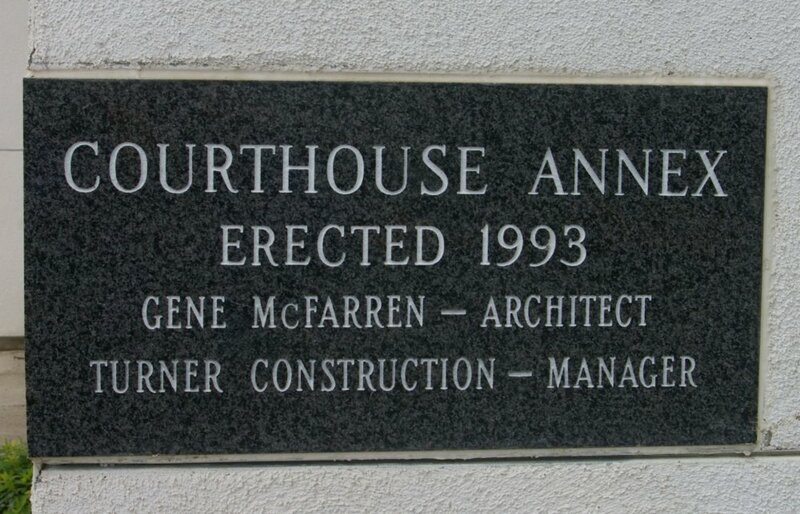 The architect was Henry C Smith. The building was renovated in 2002. The architect was HMR Architects, Inc. and the contractor was Refnes Construction Company, Inc. 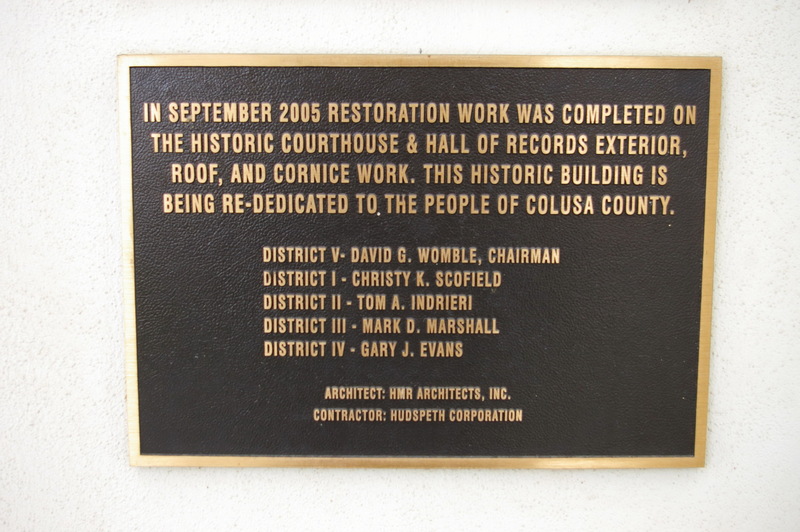 The building was restored in 2005. 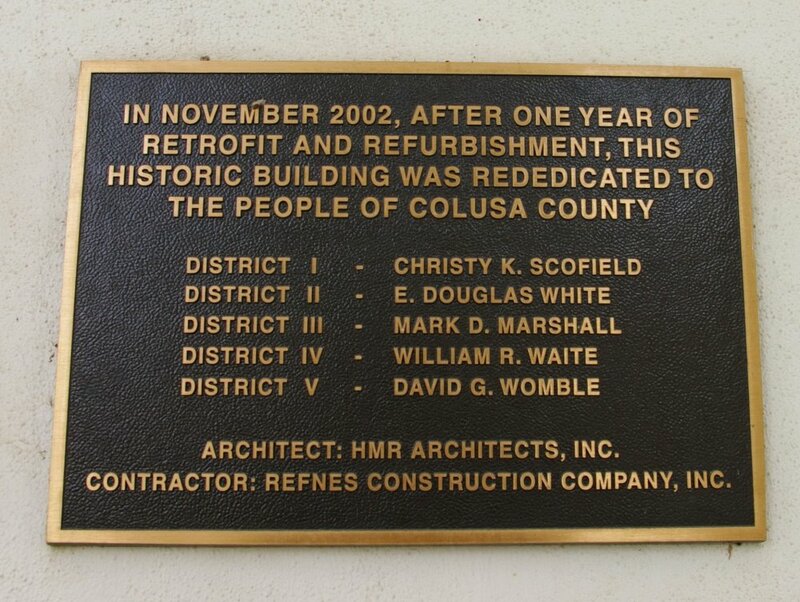 The architect was HMR Architects, Inc. and the contractor was Hudspeth Construction. 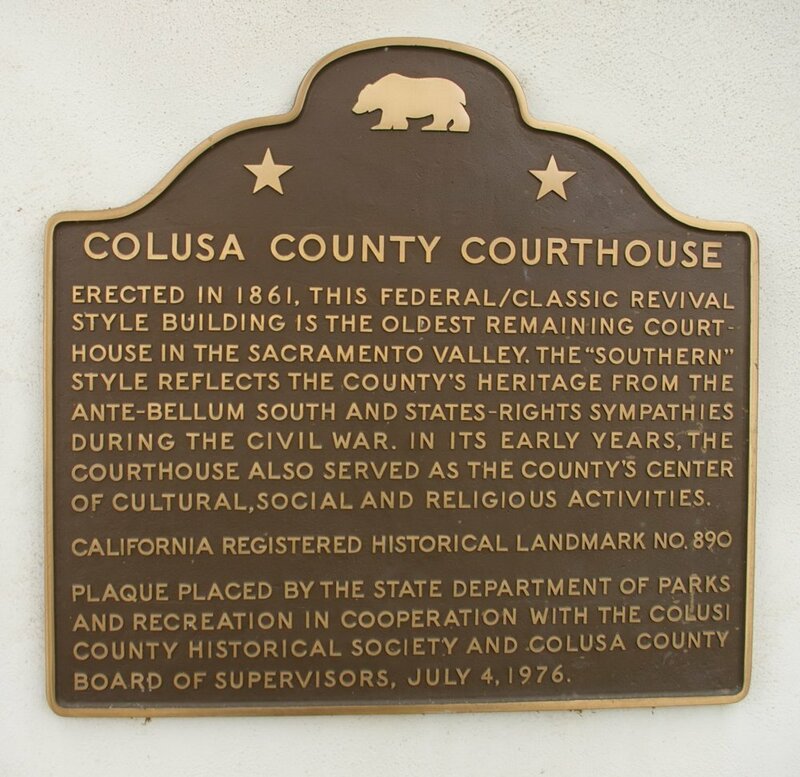 Note: The courthouse is the oldest remaining courthouse in the Sacrament Valley. 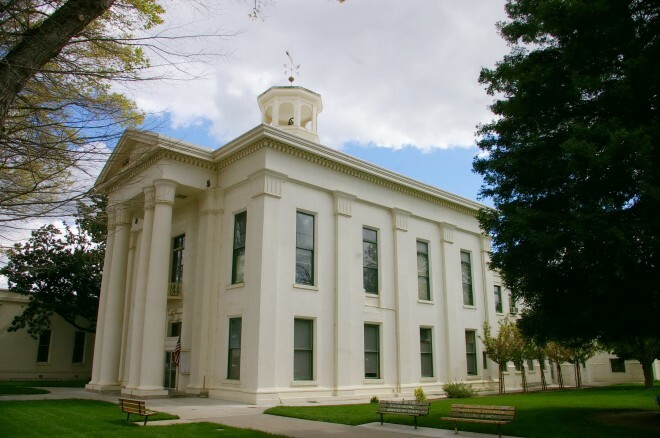 The courthouse is the third oldest courthouse in California after the oldest courthouse in Mariposa County and the second oldest courthouse in Trinity County. Description: The building faces south and is a two story white colored concrete structure. 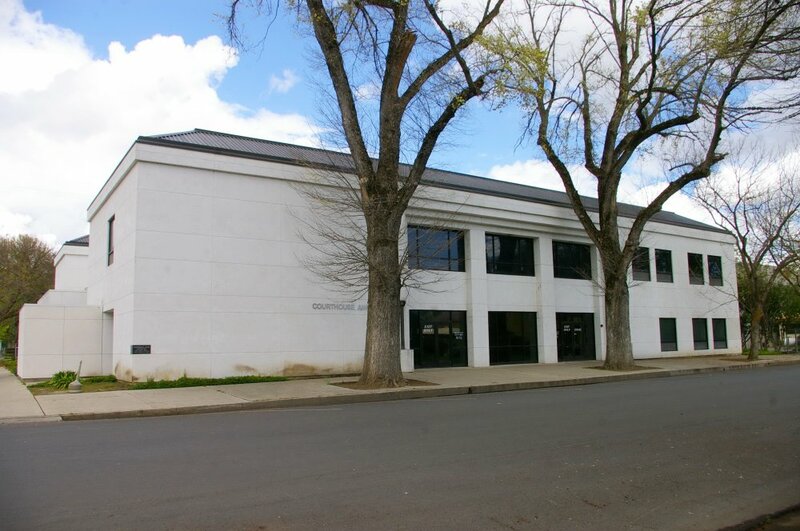 The building faces south and was completed in 1993. 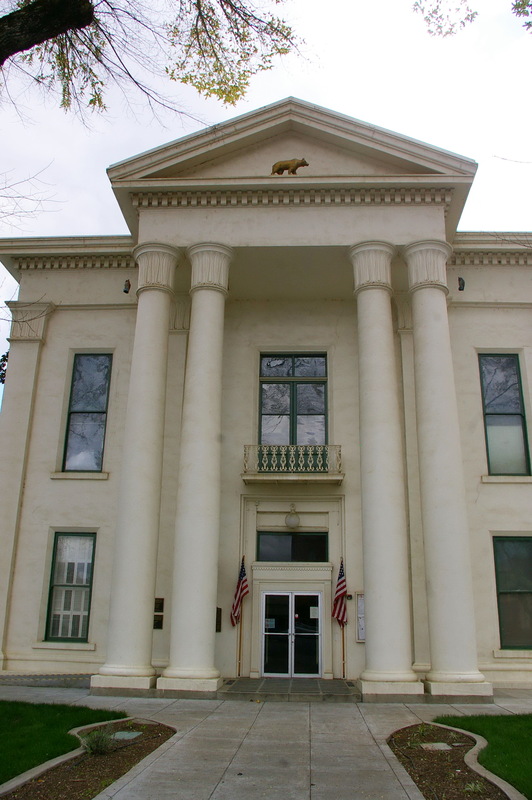 The south front has a central entrance and two large windows on the first story and three large windows on the second story. The roof is hipped. The building houses the courts.